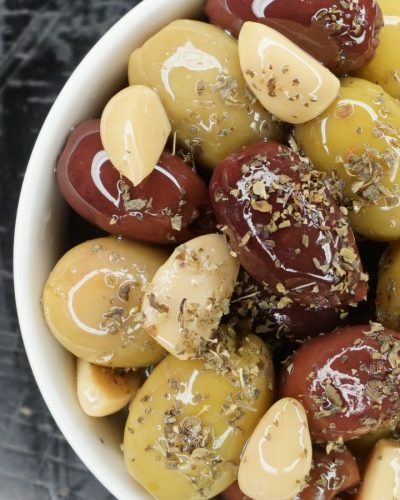 Acropolis Mix of Kalamata & Halkidiki Olives Marinated With Garlic & Oregano are from the region of Halkidiki and Kalamata in Greece and are handpicked by local farmers. These olives are large with green colour and marinated with Garlic & Oregano. These olives are perfect as a snack and in salads. They are also used in deli counters of retailers, bars and restaurants. They are an ideal cooking ingredient used to bring a taste of Greece to every dish. This product comes in a tin of 1.5kg drained weight and once open keep the olives covered in the brine for 2 weeks in refrigeration.